The Food Alphabet and More: Get a FREE slice of cake from Starbucks this Valentine's! 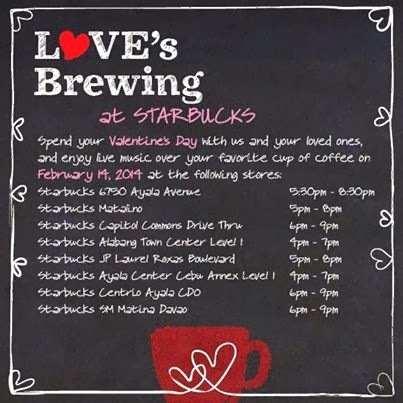 Pour some love and spend your Valentine's day at Starbucks, and be serenaded with live music at the following stores at selected times. Happy Valentine's to you from The Food Alphabet and Starbucks Philippines!